Alternative/Integrative Medical Care with non-toxic therapies. 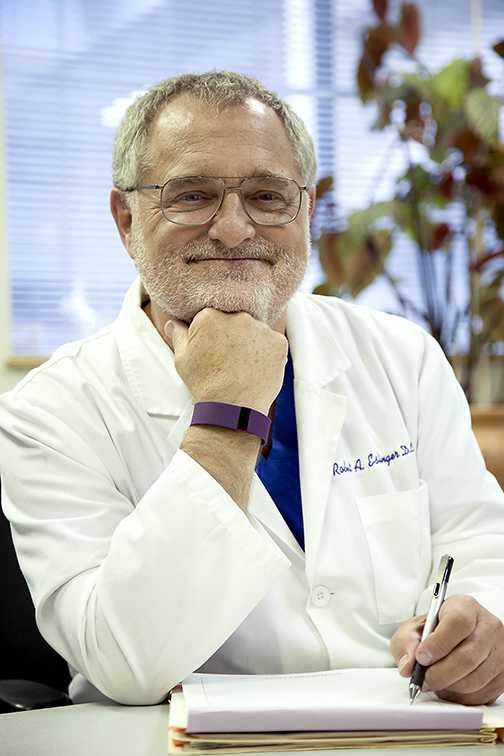 Specializing in Cancer treatment as well as other chronic degenerative diseases. Click to learn more about Chelation and other therapies we offer at Reno Integrative Medical Center. One of the hottest fields of frontier science which is about to lead to major conceptual breakthroughs and many useful applications in bio-physics, biology and bio-medicine is biophotons…the light of life. Biophotons have been known about since 1924 but more recent research has demonstrated that they are stored and emitted by the spiral DNA molecules at the heart of the nucleus of every cell. It is also known that a form of this therapy using ultraviolet light treatment (UBI) of the blood was developed in the US in the 1920’s! Whats’ more, the FDA knows all about this treatment and in an issued statement said they “recognize the therapeutic benefit of it”! When blood is exposed to uv light the cells take on photons and re-radiate them back to all the other cells as they circulate. These photons trigger a boost to the immune system and increase normal healthy metabolic activity in all the cells. This treatment is also deadly to all viruses, bacteria and also cancer cells. It may mean the dawning of a new era in Modern Medicine called Health Restoration rather than just treating diseases. To read more about available light therapy to cells click on UVBI. Reno Integrative Medical Center has many therapies available that are innovative and out of the conventional box. 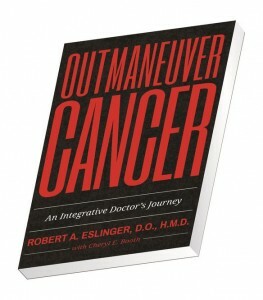 Dr. Eslinger’s book, “Outmaneuver Cancer” is an interesting new insight on how to view Cancer and treat it. Photochemistry studies the fascinating interaction between light and the biological world. The Light Institute of Copenhagen spawned the modern era of “phototherapy” by treating hundreds of lupus patients with therapeutic levels of ultraviolet light. In 1966, Endre Mester, a physician in Hungary, performed numerous experiments reporting a biostimulatory effect of visible red and infrared laser at low intensity. Dr. Mester found that light delivered within well-defined parameters yielded meaningful clinical effects, including pain relief and accelerated wound recovery. The light frequencies activate electrons in specific “photoreceptors” in different cells. This activation excites the electrons which modulates the physiology of the photoreceptor, which in turn, affects all biochemical pathways directly or indirectly connected with the photoreceptor. This is the beginning of a whole new way to address physical ailments! At Reno Integrative Medical Center we use UBI or Ultra-violet light irradiation. Normal cells have metabolic mechanisms to deal with and neutralize oxidative stress. However, cancer cells and many microorganisms that are preying upon the body cannot handle this stress and therefore succumb to it. This is an excellent therapy to help isolate and treat abnormal cells while not destroying normal ones. 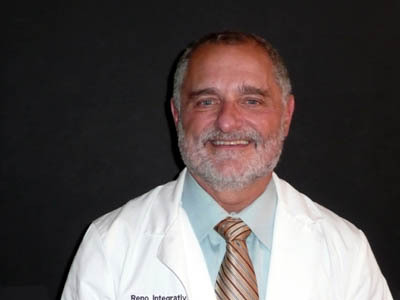 Read more about Oxidative Therapies at Reno Integrative Medical Center in Reno, Nevada. Amygdalin, or Laetrile, is lethal to cancer cells. This is because cancer cells secrete the enzyme beta-glucosidase which releases the poisonous cyanide otherwise locked in laetrile, into the inside of the cell. In the absence of cancer cells the toxic cyanide is not released. Normal cells have an enzyme called rhodanase which effectively renders the cyanide molecule inactive. At Reno Integrative Medical Center, we administer B-17, Laetrile, in the context of a full-protocol and never use it alone. Truly effective cancer treatment consists of using synergistic compounds together in a way that makes them far more powerful than if used as individual agents. T-cells are the body’s soldiers and guardians. When a patient’s immune system is weak T-cell counts are low. It is important to build up T-cell numbers and aggressiveness. We like to call it, “Building your army”. We have developed Dendritic Cell Vaccine therapy to stimulate immune system efficiency so that once the cancer has been de-cloaked and exposed, the immune system can do what it was designed to do………………destroy and eliminate foreign invaders in the body. Cancer has its ways to hide from the immune system. Knowing how cancer hides from the immune system is half the battle in fighting it. You wouldn’t want to enter a fight with both hands tied behind your back would you? GcMAF helps to de-cloak and expose the cancer so the immune system can do what it was perfectly designed to do. There is no need to poison the entire body with chemos. That would be like swatting a fly with a hatchet. Too much collateral damage stresses even the best immune system. More on that in a later post. Cancer does not thrive in heat. Cancer can only survive in a very specific environment. Once it becomes invisible to the immune system it proceeds to live undetected. Along with de-cloaking we strongly suggest creating an environment in which the cancer does not thrive. One of those variables is heat. Cancer does not like heat. Hyperthermia is a branch of therapies available for patients to pursue at home as well as in a clinic setting. * We are not claiming that heat will cure cancer but it is an excellent adjunct therapy to our whole synergistic approach to attacking cancer on all fronts. PRP is a powerful treatment used at Reno Integrative Medical Center to speed healing of injury through stimulating the immune response with T cells from patients’ blood.